My birthday was on Tuesday but everyone knows that birthdays that fall on weekdays are pretty boring so I decided to dedicate a whole week to celebrating instead. If you don’t know by now that I’m an absolute fiend for afternoon tea then you obviously haven’t been reading my blog closely enough 😉 so naturally this was included as part of the celebrations. In fact it kicked them off in style as myself and some friends headed to The Tower Hotel on Saturday afternoon. I took this from a speedboat the following day! To be honest this was not my first choice for afternoon tea but I left it quite last-minute due to not knowing exactly how many people were going to be there until quite late (in fact the number fluctuated both up and down three times from booking to actually turning up) but The Tower were incredibly accommodating and also incredibly reasonable with their pricing. 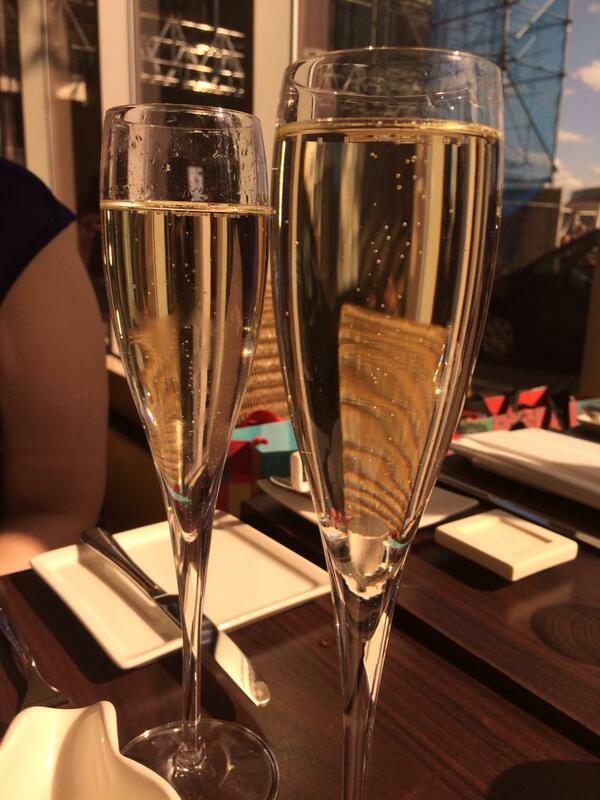 £19.95 each or £24.95 including unlimited prosecco – obviously I was sold! What I wasn’t quite prepared for given this price point was the absolutely stunning location and surroundings! The sun was shining and everyone was in a happy mood because of it which always makes things better. Unfortunately due to a mishap with her hotel one of my friends wasn’t going to make it but the restaurant were more than fine with this which was lovely. They seated us at our table and waited for us all to arrive before they started service. This was great because the unlimited prosecco is only unlimited for the first 90 minutes and it meant that we all had the equal opportunity to drink as much as each other lol. They were also OK with one of our number NOT taking the prosecco option which was nice too as I know quite often they like tables to all order the same thing. 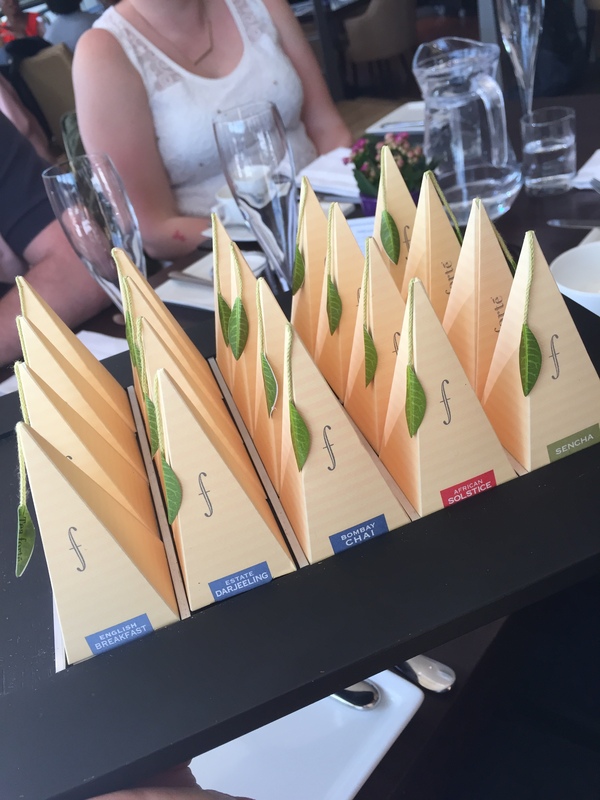 The first decision we has to make was which tea we were going to have and I totally fell in love with these beautiful little pyramid tea bags! Normally I’m quite a stickler for loose leaf at an afternoon tea but if it’s as cute as this I don’t mind so much. We were each given our own pot of hot water too so we could have as much or as little as we liked. Although to be honest, with unlimited prosecco on offer I only had one pot. The food arrived on these cute little stands full of goodies for your to share between two which worked out well as there were six of us. 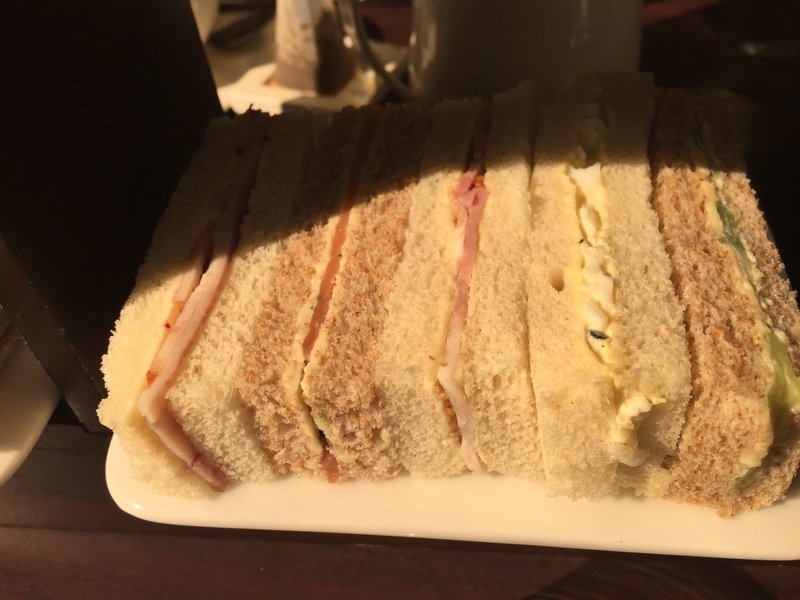 Luckily there was a plate of sandwiches each so no need to fight over who gets what and I am pleased to say that the bread was soft and light and the fillings were equally lovely. There wasn’t a single one I disliked! 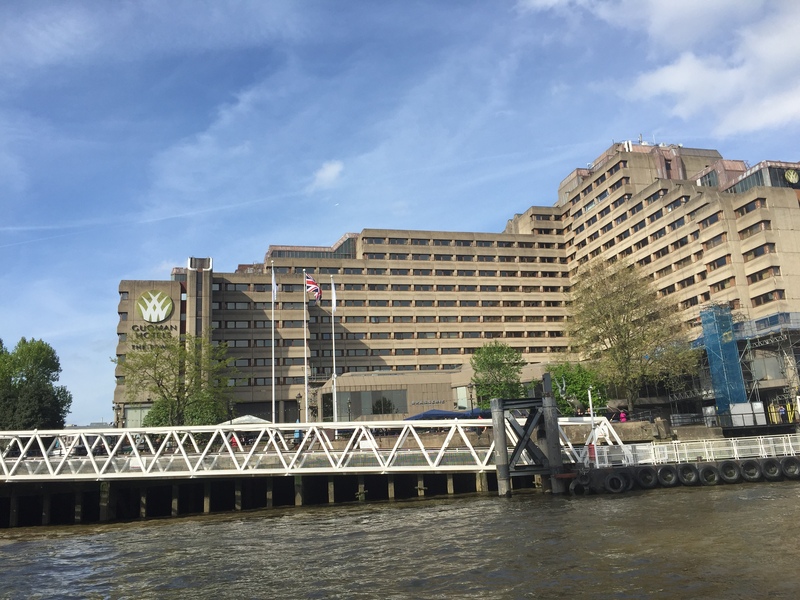 I was sharing a tea with my friend Simonne (see if you can spot her in that pic up there ^ 😉 )and I had to laugh when she said “now I know you don’t like raisin scones so I’ll have that one”. She obviously reads my blog (hiii Simonne) and it’s so lovely when people remember little details about you like that. The scone was OK not amazing but not bad either and they came with good portions of jam and cream so that was good. 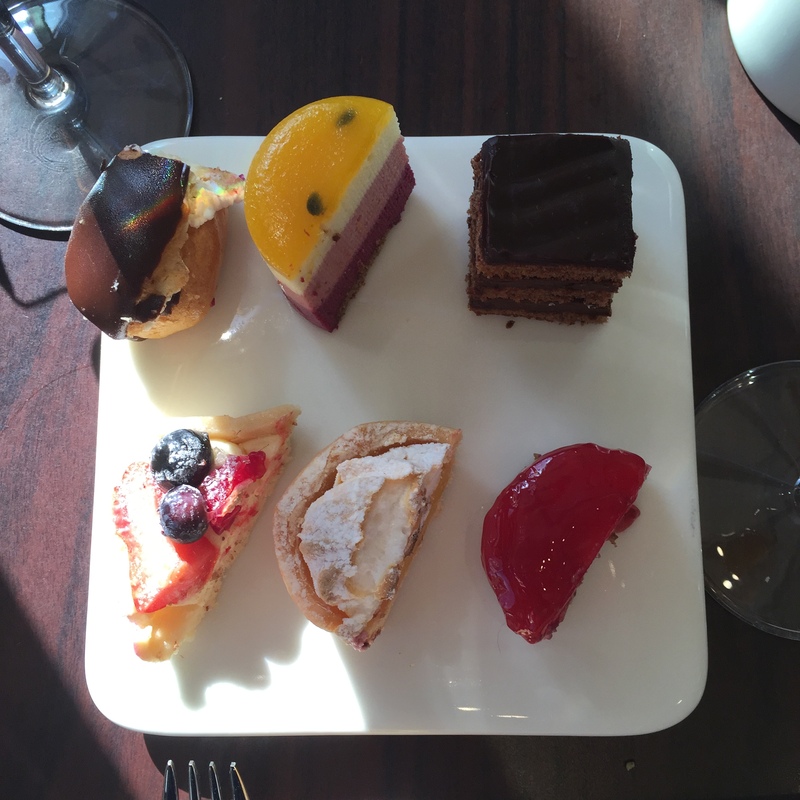 Then it was time for the desserts and we had a dilemma on our hands as there was only one of everything which is a bugbear of mine when it comes to afternoon tea. That said they were big enough to split so we could taste all of them so that’s exactly what we did. There was a mini chocolate eclair, passionfruit mousse, chocolate cake, fruit tart, mini lemon meringue tart and another berry flavoured mousse too. Everything was nice although I struggled to figure out what order to eat them in. The chocolate cake is very rich and heavy in comparison to rest especially the mousses which were incredibly light and flavourful. Surprisingly the lemon meringue tart was my favourite with a perfectly crunchy meringue top and a zingy lemony filling. We chatted and giggled away for far longer than we should have. I was pleasantly surprised that the waitresses kept our glasses topped up without us ever having to ask for refills which I was not expecting and they came to top up our glasses one last time just before our time was up too. 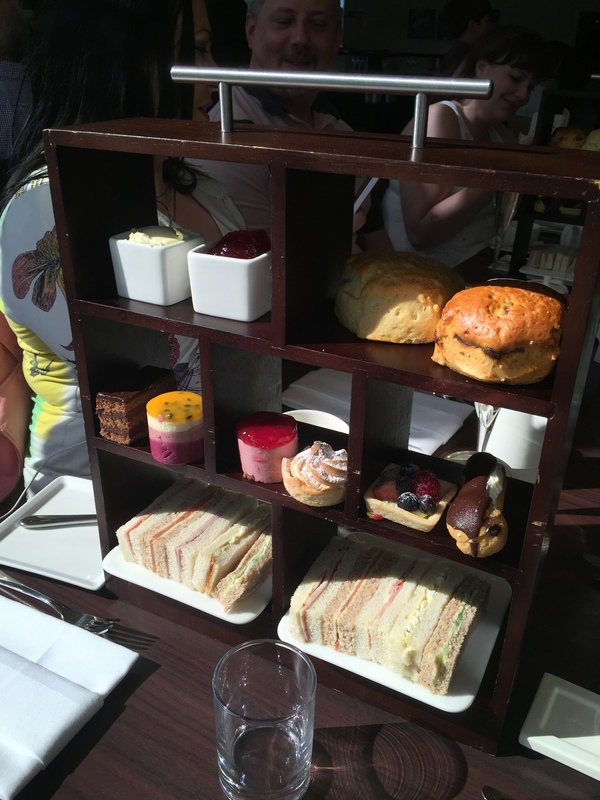 I honestly cannot recommend this afternoon tea enough. From the setting to the menu, the price to the attentiveness of the staff it was a really wonderful experience! 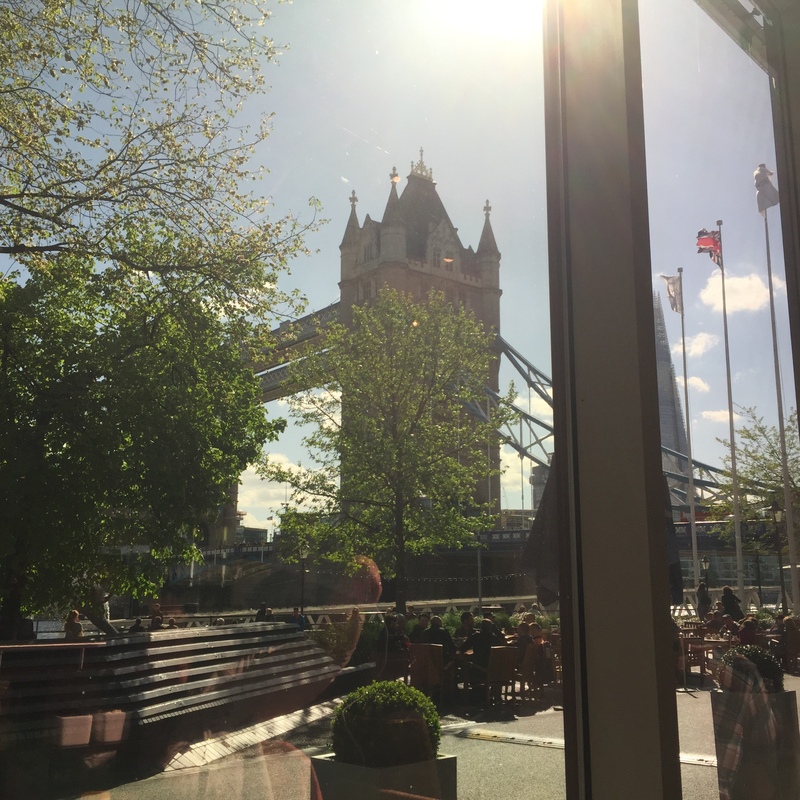 I’m not really one for returning somewhere more than once but I would make an exception for The Tower’s lovely afternoon tea. 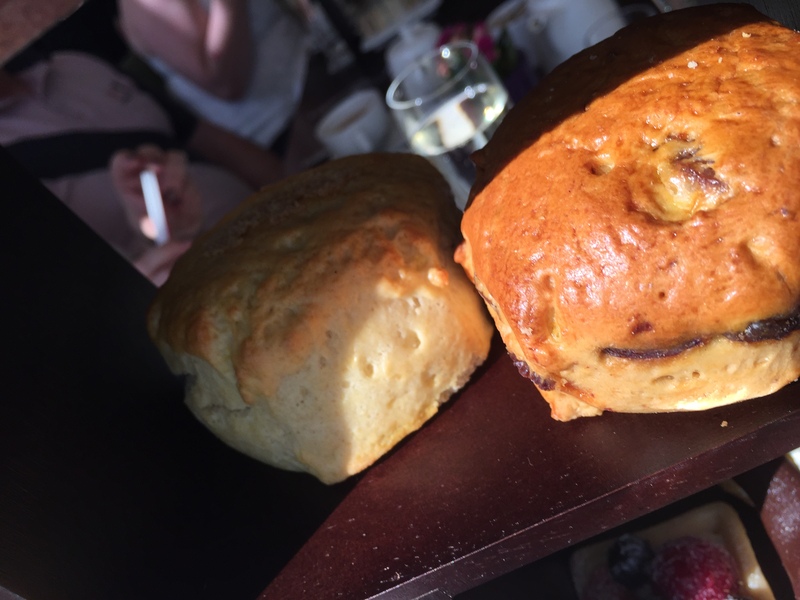 That looked like an amazing Afternoon Tea,I love them,unlimited Prosecco, well it would have been rude not to,this has made me hungry.The prices in London are more than here in the Midlands we pay around £15 a head with fizz.